Petra MacFarlane of Gen Re looks at protection growth trends ans asks whether customer access is a key growth factor. Wouldn’t it be amazing for us to live in a world where people realised that they needed protection insurance and, recognising the value that it brings, take steps to buy it. One could argue that this is what happens in the world of personal lines cover for buildings, contents and pet insurance. In the protection insurance space, however, we still live in a world where insurance is sold and not bought. Imagine if we could change peoples’ perceptions of their life or health such that they valued it as much as they do their pet! 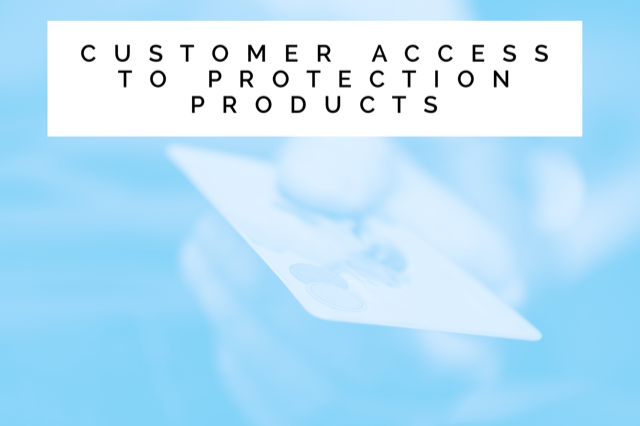 So why and when do people buy protection products? It tends to be when their needs are relatively clear – for example when they have got married, have had a family or are buying a house. It can also be when they have had experience of someone close to them having suffered a critical illness or been off work for a period of time. Typically, though, they still need someone to prompt them into buying. The majority of protection insurance is still sold through IFAs and although there has been growth in non-advised sales, this still only represents a relatively small proportion of the market. There is still a large untapped market of those people who could and should buy insurance, but don’t. Why is that? One of the key reasons has to be access. Many people who fall into the category of “could, should, but don’t” do not have an IFA or think to visit one, so how can they access and buy our products easily? Is this something that we can change? Apart from a blip in 2015 when total new business sales fell, Gen Re’s Protection Pulse shows that the overall market has had year on year growth for 2016 and 2017. In 2016 it was up by just under 4% in total on 2015 and in 2017 it was up by around 7% on 2016, so the levels have been relatively modest compared with the levels that we might aspire to. Delving further into the numbers by distribution channel and product line paints a mixed picture. Looking first by distribution channel, saIes through the Independent Advice channel were up by less than 1% in 2016 over 2015 and around 5.5% in 2017 over 2016. Restricted Advice sales on the other hand were up 18% and just under 9% respectively for the same period. Non-Advised sales actually fell in 2016 compared with 2015 but showed growth of just under 11% in 2017 over 2016, which is positive if we are looking to reach customers that don’t normally buy our products. If we consider sales by product type, income protection has outperformed mortality and critical illness growth in both years with an increase of 17% in 2016 over 2015 and just over 8% in 2017 over 2016. Mortality business managed growth of just 1.5% in 2016 but picked up to 7.5% in 2017. Total Critical Illness sales were up just over 5% in 2016 and just over 6% in 2017. So, in 2017 growth levels across product lines have been much more consistent. It is often difficult to attribute growth (or sometimes lack of it!) to specific external factors such as the state of the economy, the buoyancy of the mortgage market or less tangible things like consumer confidence and levels of trust in our industry. Over the last couple of years, Gen Re has looked at how mortgage related sales have performed against the backdrop of the housing market and have seen that often strong growth in the housing market hasn’t directly translated into commensurate additional sales of mortgage related protection insurance. The increase in the rental market, the gig economy and the shrinking welfare state can all play a part in driving demand for our products and maybe these things together with initiatives like Seven Families have led to the growth particularly in income protection sales in recent years. Do we believe that protection insurance sales will continue to grow? There is absolutely no reason why they shouldn’t. There are a significant proportion of people who are under insured or not insured at all. The key to maintaining and indeed increasing growth in our sector will come from building trust in our industry and our products, promoting the need and value of our products, improving access so that people can easily buy them and designing propositions that will appeal to our ever-changing customer base. If we could achieve all of that (or even a part of it), then we could have a booming protection insurance market!